There are some cases you might need to migrate your protection data to a new disk. DPM is shipped with a Powershell script (MigrateDatasourceDataFromDPM.ps1) that allows you to migrate your protection data to new storage. Now you can use the script MigrateDatasourceDataFromDPM.ps1. First find the disk number of the source disk, these numbers are not displayed when you use the get-dpmdisk command. Do not get fooled by the NTdiskID, you do not need those. You just need to count the disks listed starting with 0 (see red numbers in example). Now find the number for the destination disk using the same trick. 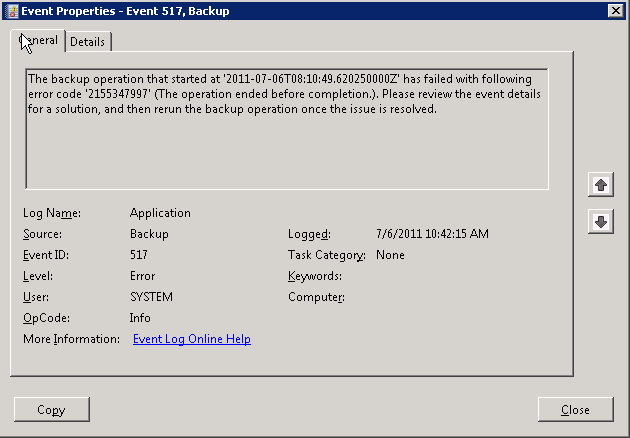 DPM cannot create a backup because Windows Server Backup (WSB) on the protected computer encountered an error (WSB Event ID: 521, WSB Error Code: 0x807800A1). The following alert became inactive at 27-9-2011 3:15:52. Description: Last 1 recovery points not created. For more information, open DPM Administrator Console and review the alert details in the Monitoring task area. Some noncritical volumes are included in the system state backup image when you use the "-allCritical" switch in Windows Server 2008 R2 or in Windows 7 only for non SP1 systems. SP1 includes this hotfix. 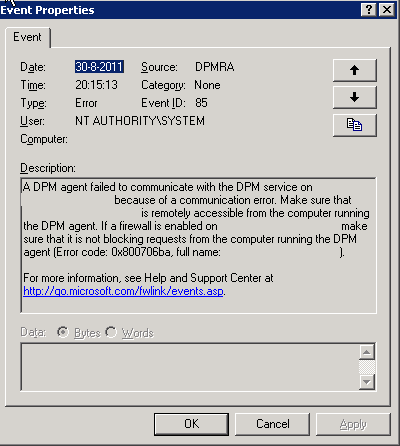 Posted on October 26, 2011 Categories Microsoft, System CenterTags Server 2008, Server 2008 R2, View, Windows, Windows 7Leave a comment on DPM cannot create a backup because Windows Server Backup (WSB) on the protected computer encountered an error (WSB Event ID: 521, WSB Error Code: 0x807800A1). Simply install the Windows Server Backup feature on to the protected machine from Server Manager. Installation of this feature doesn’t normally require a reboot. If the protected machine doesn’t have enough disk space to store a backup of the system state files (you’ll need 10-12Gb free on the system drive by default to store these files) you’ll need to create some space on the system drive, or add another disk to the machine and modify the PSDataSourceConfig.xml file to allow DPM to use the new location. The PSDataSourceConfig.xml file is normally located at %SystemDrive%\Program Files\Microsoft Data Protection Manager\DPM\DataSources. Modify the <FilesToProtect> section of the xml file to point to the new drive added. 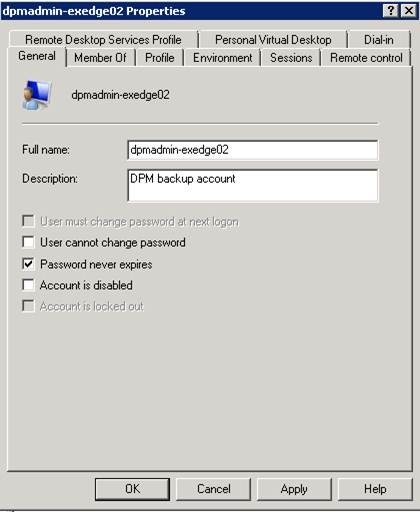 Maybe that you may need to remove protection for the machine from the DPM 2010 console and then re-enable protection to get DPM to read the new location for backup files from the PSDataSourceConfig.xml file. Description: Recovery point creation jobs for SQL Server 2000 database ?????? on ???? have been failing. 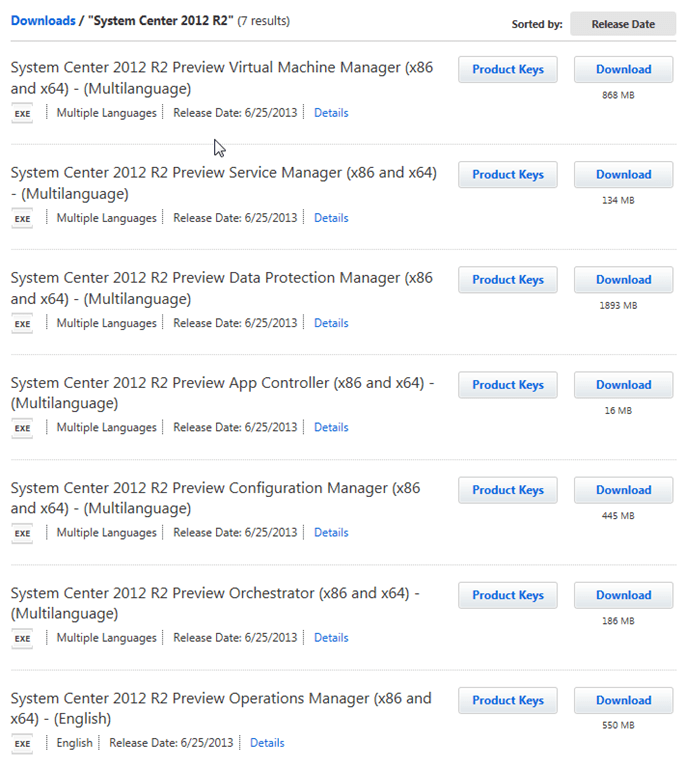 The number of failed recovery point creation jobs = 3. Recommended action: If you see this failure as part of a backup job, then in the Protection task area, select the SQL Server database and click Create recovery point. Choose express full backup. Alternately, you can wait for the next scheduled express full backup to run. If this failure occurs as part of a recovery job, then try to recover from another point in time. Review the Application Event Viewer logs on the computer running SQL Server for more details. Ensure that this database is not already protected by another backup application. Agent: Please refer to the recommended hardware requirement required by the operating system. When you check the event log of de server you see a event 517.